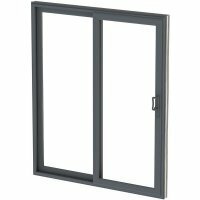 uPVC Sliding Patio Door - 2 panes made to measure at no extra cost. All our manufactured products ar..
uPVC Sliding Patio Door - 3 panes made to measure at no extra cost. All our manufactured products ar..
uPVC Sliding Patio Door - 4 panes made to measure at no extra cost. All our manufactured products ar..